Selected alumni profiles and "testimonial"
NHK, TV Japan, Honorary degree from Lake Forest College, Former Trustee GBF. "Liberal arts education prepared me well for my career in journalism. I was trained to seek what's not obvious, not settle for what's on the surface -- a critical skill as a journalist." "I apply my liberal arts education at Knox and science training at a graduate school in managing programmers and engineers of Silicon Valley. Value and traditions of western civilization and midwestern states play an important role in creating innovation. I am hoping that more young folks from Japan spend 4 years at liberal arts schools." "Liberal arts education taught me, among other things, how to choose my career as a researcher. I was constantly challenged and encouraged by indefatigable professors and intellectually stimulating students in a colleagiate atmosphere. Illuminating academic discussions sharpened my skills in avoiding cul-de-sacs and pursuing promising paths in research." "We need more Japanese professionals that can contribute to the world. There is a shortage of Japanese professional who can communicate in English -- particularly in writing, get along with people from around the world, and make a valuable contribution as a specialist. Liberal arts education in the US plays an important role in developing these skills." "When I first arrived in NY, I was so nervous. I remember running to/from Burger King because I was told it was dangerous. When I arrived in Hamilton, everyone was so kind. I switched my major from literature to physics. Liberal arts education in the US accommodated this change. I could not have done that in Japan. Thank you, Hamilton." "At Lake Forest, I was struggling to figure out my path for the future. It was particularly hard because I could not articulate my thoughts and feelings very well. Teachers were so passionate and patiet in helping me to find a way. I gained confidence to overcome any difficulties in life." "Wesleyan trained me to see people as they are without prejudice toward their race, religion, or sexual orientation. This is such an important skill in my career working with people around the world. "Smith taught me to gain a global perspective. This was based on living with students with a diverse background and exposure to diverse subjects in classroom." "I was not sure whether I should go to a school in the U.S. The challenge and valuable experience far exceeded my expectation. My dorm experience was particularly valuable. Through email, I could not have achieved the life long friendship I have gaind! Confidence from achieving my goals at college is a source of energy and shaping my career in the international relations." "Although I had always interest in journalism through my father's work as a newspaper reporter, I re-discovered my passion while I was at Lake Forest. 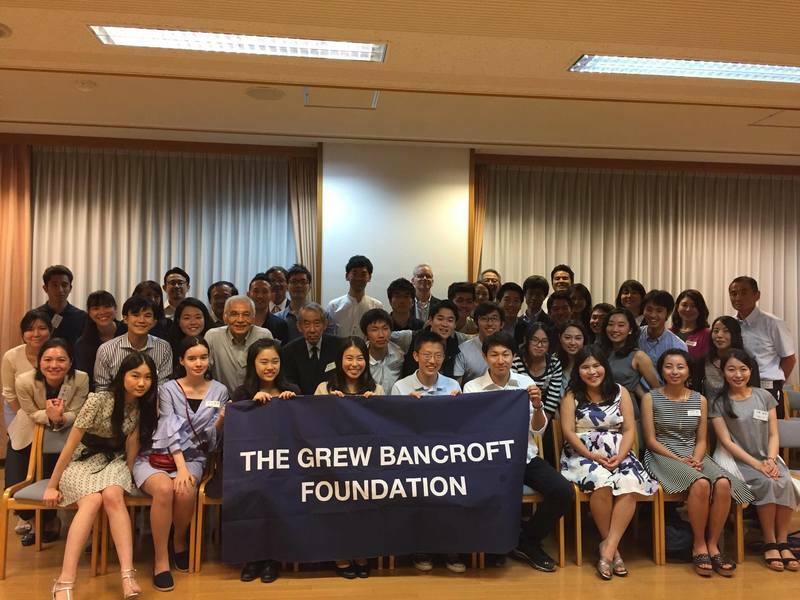 Classroom discussion and living experience with students from around the world gave me a global perspective of Japan. I am working hard every day to become a better journalist."